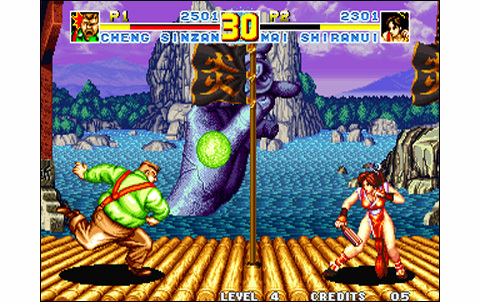 After an episode two very successful that improved substantially the first Fatal Fury, SNK wanted to drive the point in the year 1993. 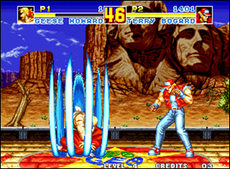 Fatal Fury Special stands as the perfect evolution of Fatal Fury 2, the game that laid the new foundations for the next fighting games of the saga. 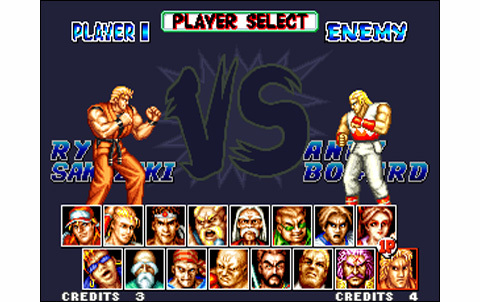 This version is offering an impressive total of sixteen different fighters, including Ryo from Art of Fighting! 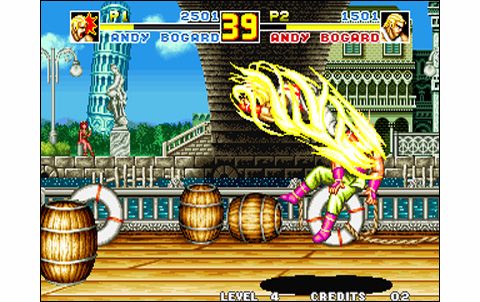 But to play this character, you'll need a professional fighting level to clear the game with no losses. 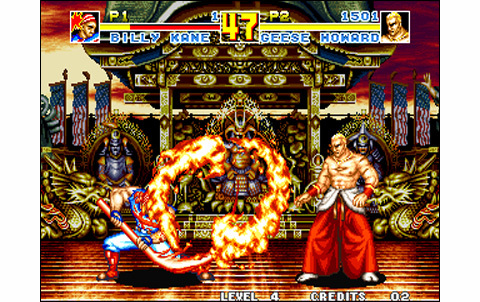 FFS offers a wide variety of characters especially with their fighting styles now packing numerous available combos. 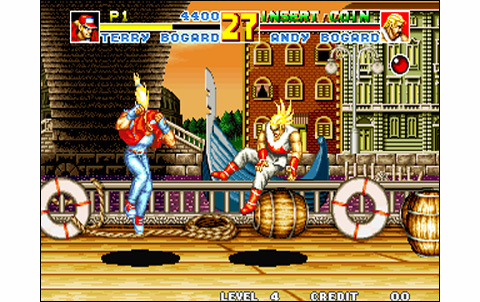 We now can play the four Bosses of Fatal Fury 2 plus three legendary characters, who are back from the first episode (Geese Howard, Tung Fu Rue and Duck King). 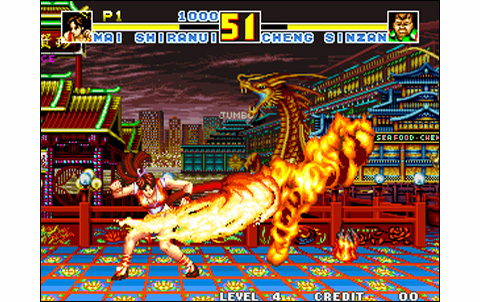 We also note the action is slightly faster-paced, and the game was overall refined game, making this installement a huge success in the arcades. 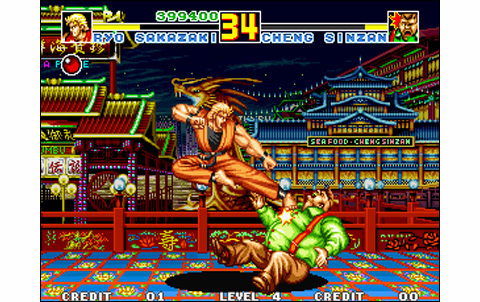 For the first time SNK takes a candle to Capcom and its rival SFII saga, which latest episode then was the notorious Super Street Fighter II. 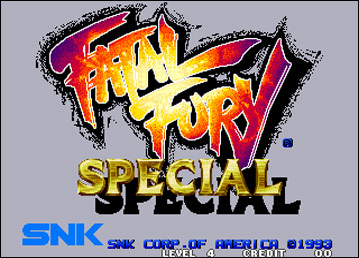 Featuring a gameplay even more comprehensive than its predecessors, Fatal Fury Special surprises with all the stuff it packs. 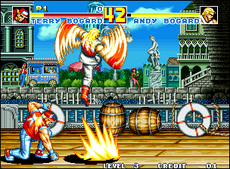 Each character now have a wide range of moves, and something great that appeared in Fatal Fury 2 (as seen in Art of Fighting last year): the furies. 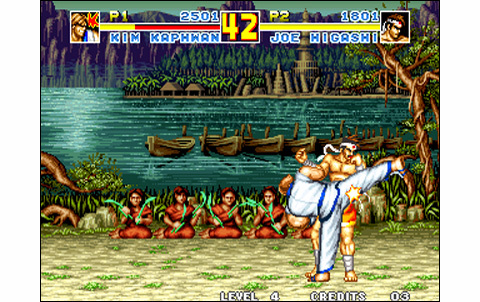 These are devastating attacks that can be triggered only when the life bar is low, using complex stick combinations. It's a challenge and a serious opportunity to reverse desperate situations, providing new strategies during the fights. Offensive and defensive attitudes are now pretty important regarding your health and your character's abilities. Both game plans are now well managed, and the controls are the same as in the prvious game, using four buttons. Combos and counters have been generously added, while the difficulty has much increased, plus we must now beat sixteen oppponents to clear the game. The versus is also exciting, with such a choice of characters and a significant room for improvement. Another pleasant feature: each stage is evolutive. Depending on the round, time of the day and weather are different. 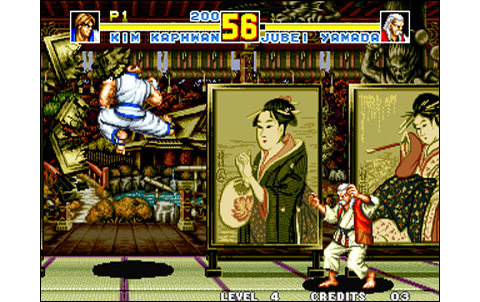 This good idea was taken from Fatal Fury, used here for each background of the game. Morning, evening, night ... This is a detail, but that which so much put players in the mood! 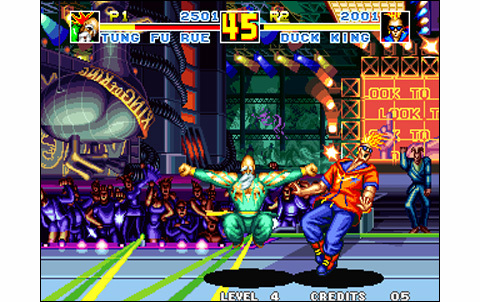 As for the protagonists of Fatal Fury (Geese, Duck and Tung) they were completely re-designed to paste the new graphic style, and it's a success. 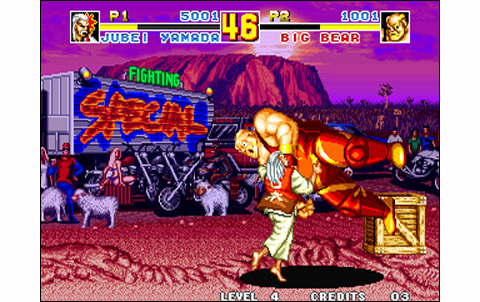 Fatal Fury Special is probably the best represent of the series - and of SNK fighting games - in its young years. 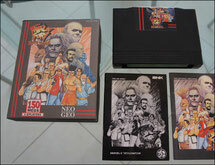 Some may think it's an old fighting game, in view of his descendants, including Garou: Mark of the Wolves. The old gameplay will appeal much more old school gamers, for sure. But dear young players, don't underestimate the richness of this title. Take a look at our Fatal Fury Special guide , and see the amount of combos and special moves available... 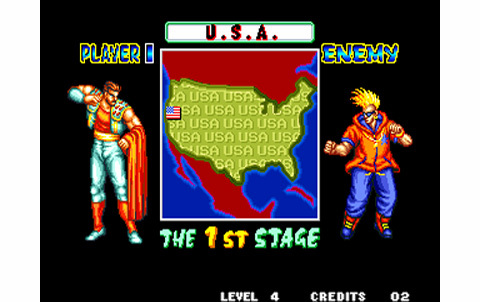 Exciting discoveries and progress, over full of scenery and atmosphere make it one of the best arcade games of these great years. 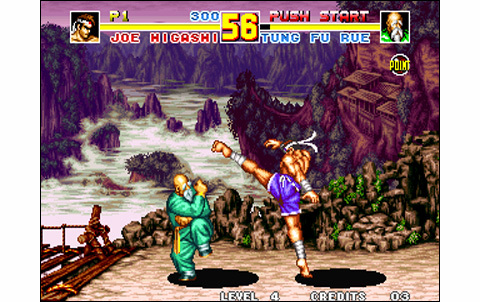 Among the best graphics of the system's early years, with sixteen different evolutive backgrounds and greatly designed fighters. 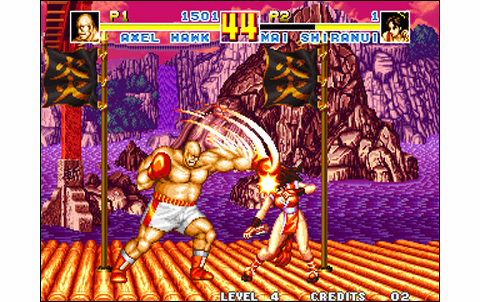 Fluid, smooth, speedy: the game is fast-paced considering the standards of the time, and the stages are nicely animated. 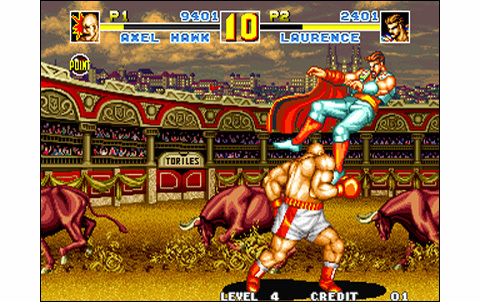 Music and FX are on top, with a soundtrack recognizable among all others. 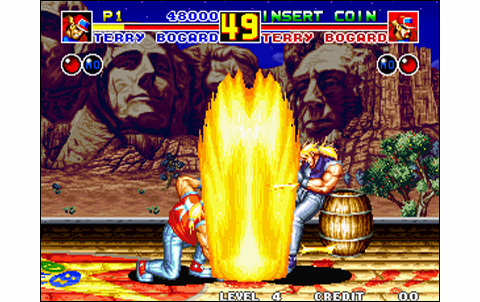 The Fatal Fury touch! Sixteen characters and a very hard challenge to clear -too hard, anyway- providing hours and hours of play. 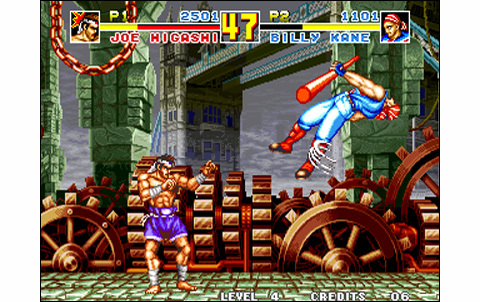 Deeper than Street Fighter II, the game features great controls and a deep gameplay which have you coming back constantly to improve your technique. 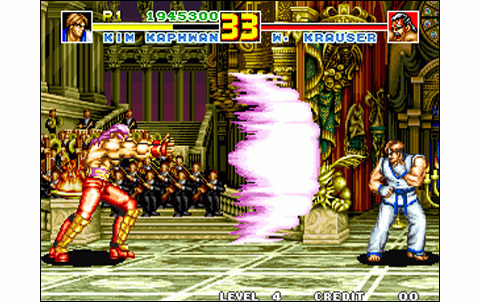 One of the best VS fighting games of its time, offering an amazing gameplay for a 93' game. Here you have the best value for money rate of the system, tied with Samurai Spirits 2. 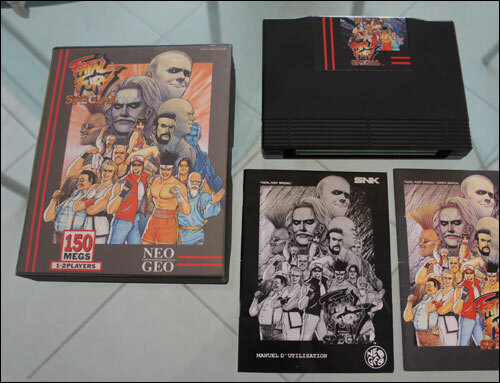 Less than 30 euros for VS fighting games of such high quality, it would be silly not to discover or re-discover this nugget for such a modest amount.